Over the last three years I’ve noticed that I’m a very busy bee when it comes to being able to review albums all the time. Sure I manage to crank out the odd album review here and there but as the sole mind contributing words to Exploding Head Syndrome and also with having a full time job it doesn’t give me a lot of time to write fully fledged, almost good reviews on all the albums I’ve heard and enjoyed. So what I’ve decided to do is continue the theme of the Great Albums Of 2015 posts that came about towards the end of last year and turn it into a semi-regular series for you lovely people. Below will be some recommendations of albums I’ve checked out and enjoyed, offering up just a brief description of what it sounds like and why I like it. Hopefully this will take off and allow us all to experience and share our feelings towards these albums together, making for some real lovely moments for 2016. Enjoy, and I love you. 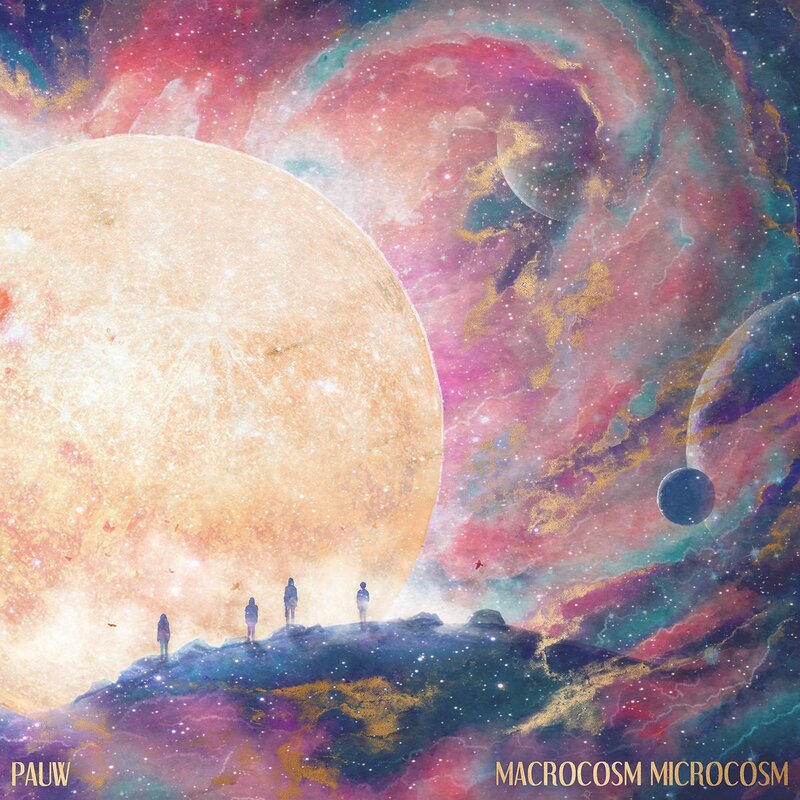 There’s not been too much psychedelic music around in 2016 yet, but this new record from PAUW is sure to be one of the frontrunners for the genre. Aswell as having an absolutely beautiful album cover (just look at it, it’s beautiful!) it is full with some gorgeous material. The sound is lush, full of colour and is a surefire delight on the ears. I’ve been playing this record on loop all weekend so far, and will continue to bathe in it’s oceanic atmospheres forever. This is a singer songwriter project who doesn’t dabble in the acoustic guitar and sombre melodies. Instead Calvin Love delivers some electronic music that is packed with groove, superb basslines and even a slight edge of grit. From opening track Girl to the closing You & I this record takes you on a journey to the dancefloor that will get the hips moving and the ladies grooving. Superb record. I stumbled upon this album while trying to keep my sanity at work the other week, and boy is it a feel good record. If you’re a fan of some good old American blues rock and roll then this is a record that’s definitely going to make you feel a little patriotic. It’s full of big booming guitars riffs and bluesy guitar solos and some insanely huge vocal performances. It’s like The Black Keys if they were still good. This is another album which dips it’s toes into the genre of psychedelica but offers a much more clean, accessible sound. New Desert Blues deliver a solid set of songs for their debut album which utilises a lot of what makes pop, indie and even grunge accessible while also giving it a slight psychedelic flair to keep their sound concise and this record cohesive. This is a decent record – not one that’s going to blow your mind but should do the job of filling it with some nice sounds for a little while. The first ever set I saw at Reading Festival was RUFUS in one of the tents and it was awesome, my friends all came along to see them with me because I said that I had reviewed them in the past and they all loved them too. As well as feeling like a complete badass, I also become a huge fan of these guys and their new album Bloom is further confirmation that this was a good decision. RUFUS always create dance music that’s expansive and lush and once again they do so on this new record, and boy is it full of great tracks. Brighter, Say A Prayer For Me, Be With You, Tell Me…great songs. Finally we’ve got to talk about the new album from Chairlift. This is a record that boasts some excellent instrumentation throughout, combining electronic music with pop and house to create some terrifically diverse hooks and melodies. There are some real pop gems on this record, Cha-Ching ­being a personal favourite of mine alongside Moth To The Flame. A great record, but the vocal interlude/breakdown on the track Unfinished Business is something that should be avoided at all costs. So there we go! Six new albums that have all graced my eardrums and will hopefully grace yours too. If you like the idea of these little recommendation posts then do let me know, and if you wanna check out some more music reviews, interviews and good music check out Exploding Head Syndrome on Facebook and Twitter.